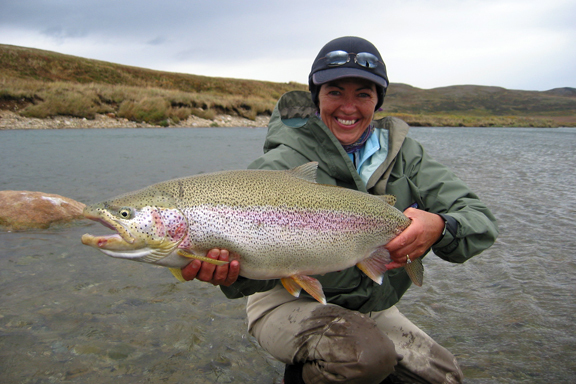 The season opener in early June is an exciting time, with trout hungry after a long winter. Fry, baby salmon from the previous year's spawn, fill the rivers, and the trout are so aggressive they will chase down these schools of fry providing exciting, visual fishing. On the larger rivers, streamer fishing is spectacular, while on the smaller streams traditional nymphs and dry flies are used to match our early season hatches. 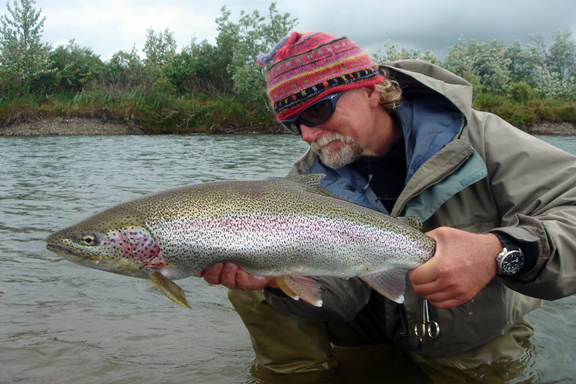 Sight fishing with dry flies is always popular and productive this time of the year. With so many different fishing styles effective this is a great month for people seeking variety. A month of transition, July sees our rivers fill with sockeye salmon while the fry migration comes to an end. 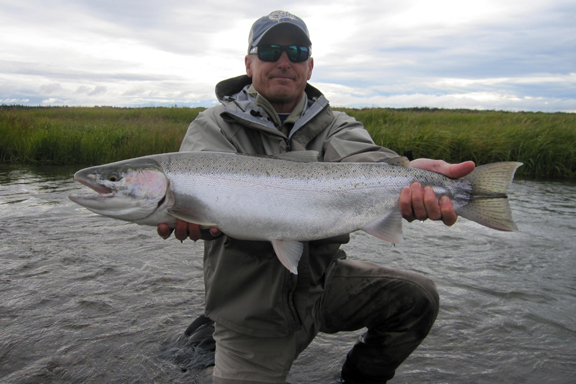 With the arrival of the sockeye staggered in the different rivers we have lots of variety. Sight fishing with nymphs and dry flies is spectacular in many places, while streamer fishing is still the most effective method on the larger rivers. As the month progresses and rivers fill with salmon, we begin to fish egg patterns and explore smaller streams that were devoid of trout before the arrival of the spawning salmon. Like the previous month, July is a great time to experience a variety of options and fishing methods. This is the month of egg fishing in all our rivers. Trout position themselves below the spawning salmon and eat the drifting eggs making sight fishing possible on many of the shallow runs. 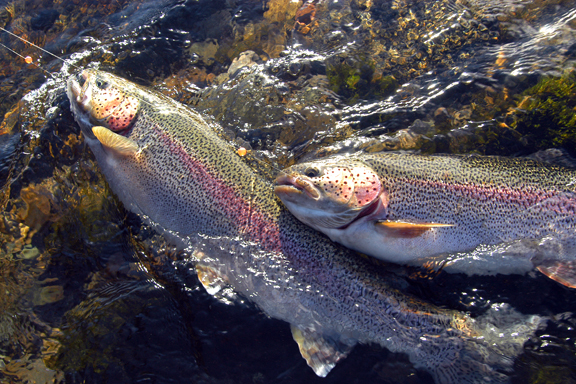 With such a high calorie food source available, the trout aggressively chase down egg patterns and soon become heavy. The sight of eagles and brown bears gorging on the salmon is common adding to the experience of fishing in August. 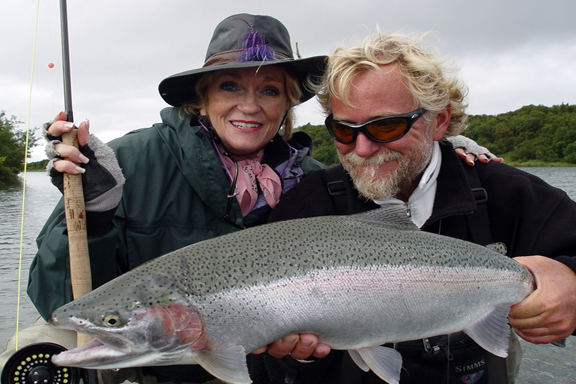 The combination of spectacular fishing, good weather and viewing salmon runs of indescribable numbers make August a great time to visit. 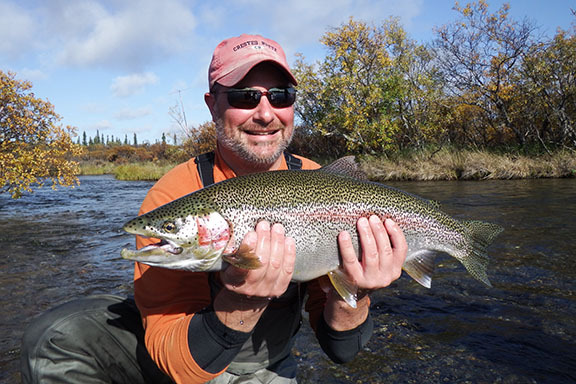 As winter approaches and the tundra turns bright with fall colors, the trout feed even more aggressively. 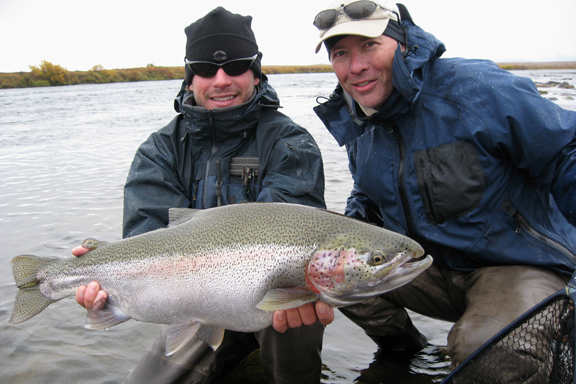 Fat and heavy from gorging on salmon eggs for weeks, this is a great time to catch a truly huge fish. The salmon die-off as the month progresses but sight fishing with egg patterns is still great. As the salmon thin out and the rivers open up we will start fishing streamers again. With the end of the short Alaskan summer nearing the trout feel an urgency to feed making a big streamer or leech pattern a tempting meal. The weather might be cooler but the beautiful fall scenery and huge fish are more than enough reward.